Without having reliable computers, no business can compete in this fast moving world. The best option available for businesses is HP/COMPAQ Business Desktop Computers. Both the companies are pioneers and master in the field of technology. HP/COMPAQ business desktops are well known for their fast and reliable computing. Moreover they do not put a dent on your budget. They are easily affordable and can be managed under tight budgetary situation as well. These Desktop Computers are the best among others. Fully equipped with options they can fulfill all your business needs. They are available in variety of options. You can choose any according to your business needs. The only reason why branded computers are preferred over non-branded computers is because of their credibility and reliability. However, that credibility goes to waste even if branded computers are bought from a non-authorized or an average seller. 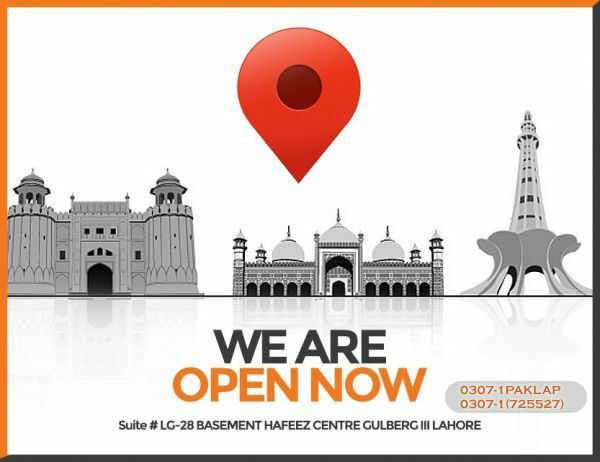 Thus, eradicating “from where to buy the branded computers?” dilemma, www.paklap.pk presents itself at your service. Apple Computers make use of the Mac operating system that is truly remarkable for the professionals. Moreover, they are made up of a single piece of aluminum and since there are no moving parts, apple computers ensure best stability. Dell Computers offers its customers the best return for their money. Usually the computers are built-in with high specs offered at a low price. Lenovo Computers sets the newest trends in the market because of its sublime innovation expertise. The ThinkPad keyboard is one example. Moreover, Lenovo offers super specs, heavy casing, sleek look and light weight for most or all of its computers.